N47.2 Billion and $487.5 Million in cash and properties have so far been traced to the former Minister of Petroleum Resources in the Ex-President Goodluck Jonathan’s administration, Mrs. Diezani Alison-Madueke, the Economic and Financial Crimes Commission has said. “This followed painstaking investigations by operatives of Nigeria’s Economic and Financial Crimes Commission, EFCC, “ two staff of the anti-graft agency wrote in an article. From time immemorial, precious metals – gold, silver and sparkling stones such as diamonds have delighted women. Relationships have been built and destroyed, wars fought for and reconciliations cemented with gold and precious stones. Not too far back in history, Liberia was the theatre of war over Blood Diamonds. Unlike Liberia however, the Nigerian nation is not at war. But, it seems Mrs Diezani Alison-Madueke, until recently, Minister of Petroleum Resources, going by the sheer amount of her acquisition of gold and diamonds, may have been fighting a spirited war against millions of compatriots who are heavily and unevenly yoked by crass poverty. To boot, the former minister is accused of having stolen – in broad daylight – the money that funded her acquisitive binge. A search of one of Mrs. Alison-Madueke’s palatial residences in Abuja, by the Economic and Financial Crimes Commission (EFCC) turned up boxes of gold, silver and diamond jewellery, worth several million pounds sterling. Apart from the jewellery, the EFCC, Nigeria’s foremost anticorruption agency, has traced N47.2 Billion and $487.5 Million in cash and properties to the former Minister of Petroleum Resources in Ex-President Goodluck Jonathan’s administration. The former minister who has been in London since the birth of President Muhammadu Buhari’s administration, has however continued to deny any financial misdeed. She insists she is being severely maligned and persecuted by the EFCC. But, on the strength of weighty evidences placed before Nigerian courts, there are a string of judicial pronouncements ordering the forfeiture of all allegedly ill-gotten wealth to Mrs. Alison-Madueke’s former employers, the Federal Government of Nigeria. One of the constitutional requirements to be appointed to public office in Nigeria, is the total declaration of all personal assets. It does seem like that provision was observed more in the breach by Mrs. Alison-Madueke. The EFCC, in the course of investigation, traced another property valued at $37.5m to the former minister in Banana Island, Lagos. She was said to have purchased the 15-storey building, which comprises 18 flats and six penthouses, between 2011 and 2012from the developers, YF Construction and Real Estate. The property was allegedly acquired in the name of a shell company, Rusimpex Limited, which is managed by one Afamefuna Nwokedim, Principal Partner, Stillwaters Law Firm, Lagos. On August 7, 2017, Justice Chuka Obiozor, a vacation judge sitting at the Federal High Court in Ikoyi, Lagos, ordered the final forfeiture of a $37.5m (N11.75bn) (Eleven Billion, Seven Hundred and Fifty Million Naira) property on Banana Island, Ikoyi, Lagos allegedly belonging to Diezani Alison-Madueke. The order followed an exparte application filed on July 17, 2017 by the EFCC. At the last adjourned sitting on July 19, 2017, counsel to the EFCC, A.B.C. Ozioko, while moving the ex-parte application, had urged the court to order the forfeiture of the total sum of US$2, 740,197.96 and N84, 537,840.70 respectively found by the Commission in Rusimpex USD account No. 1013612486 domiciled in Zenith Bank Plc suspected to be proceeds of unlawful activities. Ozioko had also urged the court to order an interim forfeiture of the assets and property. Ruling on the applications, Justice Obiozor had ordered the respondents- Deziani, Afamefuna Nwokedi and Rusimpex Limited- to show cause within 14 days why the properties should not be forfeited to the Federal Government. The judge had further ordered the publication of the interim order in any national newspaper for the respondents or anyone who is interested in the property to appear before the court to show cause within 14 days why the final order of the property should not be made in favour of the Federal Government. At the resumed hearing on August 7, counsel to the EFCC argued that the failure of the second and third respondent, Nwokedi and Rusimex meant that “they are not willing to contest the application”. In his ruling, Justice Obiozor ordered the final forfeiture of the property to the Federal government, in view of the failure of any interested parties or persons to contest the interim forfeiture order as published in a national newspaper by the Commission. The court also ordered the permanent forfeiture of the sums of US$2, 740,197.96 and N84, 537,840.70 respectively realized as rent on the property. But, by far the most numbing, record-shattering acquisitions of Alison-Madueke, is to be found in the ritzy, nouveaux riches playground of Banana Island, Lagos. It consists of two apartments at the Bella Vista Court. The apartments which are Penthouses, are located on Block C-5, Flat 21, Plot 1, Zone N. For them, a $350 Million (Three Hundred and Fifty Million US Dollar) hole was allegedly dug in the Nigerian treasury on November 22, 2011, by Ms. Alison-Madueke. Also in Lagos, Ms. Alison-Madueke allegedly bought a block of six units serviced apartments at Number 135 Awolowo Road, Ikoyi, just a few hundred metres away from the EFCC zonal operations hub. The apartment has a standby power generating set, sporting facilities, play ground and a water treatment plant. The property was bought at the rate of N800 Million (Eight Hundred Million Naira) on January 6, 2012. Other properties in Yaba, Lagos, also discovered by the eagle eyes of the Commission’s operatives, are located at number 7, Thurnburn Street and 5, Raymond Street. The Thurnburn Street property consists of 21 mixed housing units of eight 4-bedroom apartments, two penthouse apartments of 3-bedrooms each and six 3-bedroom (all en-suite) terrace apartments. The Raymond Street property is made up of two en-suite 2-bedroom apartments and one 4-bedroom apartment. The Yaba, Lagos properties, which dug a deep hole of an eye-popping N1 Billion (One Billion Naira), were paid for on May 30, 2012. The same day Alison-Madueke splashed N900 million for the Port Harcourt estate. In Lekki Phase one, an upscale neighbourhood of Lagos, operatives found a twin four-bedroom duplex. The duplex is located on Plot 33, Block 112, Lekki Peninsula Residential Scheme Phase 1, Lekki, Lagos, with an estimated value of over N200 Million (Two Hundred Million Naira). Also in Lagos, a large expanse of land at Oniru, Victoria Island, Lagos has also been traced to the former Petroleum Resources Minister. The land, which is located in Oniru Chieftaincy Family Private Estate, Lekki peninsular, Lagos and currently being utilized as a dumping site, was bought on February 16, 2012, for N135 Million (One Hundred and Thirty- Five Million Naira). Plot 8, Gerard Road Ikoyi, Lagos, another property traced to Mrs. Alison-Madueke, is a penthouse on the 11th Floor in the Block B Wing of the building. It was bought for N12 Million (Twelve Million Naira) on December 20, 2011. On Plot 10, Frederick Chiluba Close, in the serene, upscale Asokoro district of Abuja, lies a tastefully built and finished duplex. In the compound, there are also a Guest Chalet, Boy’s Quarters, an elegant swimming pool, fully equipped sports gym and a host of other amenities. Investigators have discovered that the property acquired by the ex-minister in December, 2009, at the cost of N400 Million (Four Hundred Million Naira) was never declared in any of the asset declaration forms filed by Mrs. Alison-Madueke. Also linked to the former Minister in Abuja is a mini estate at Mabushi, Abuja. The estate located on Plot 1205, Cadastral Zone B06, Mabushi Gardens Estate, houses 13 three bedroom terrace houses, each with one bedroom en-suite maid’s quarters. It was purchased on April 2, 2012 at the princely sum of N650 Million (Six Hundred and Fifty Million Naira). In Aso Drive, Maitama, Abuja, Mrs. Alison-Madueke reportedly acquired a 6-bedroom en-suite apartment made up of three large living rooms, two bedroom Guest Chalets, two bedroom Boys Quarters, two lock up garages and a car park. It was bought on July 20, 2011 for N80 Million (Eighty Million Naira). Down South in Nigeria’s oil city of Port Harcourt, the former minister’s acquisitive appetite took her to Heritage Court Estate, located on Plot 2C, Omerelu Street, Diobu Government Residential Area, Phase 1 Extension, Port Harcourt. The Estate which is made up of 16 four bedroom terrace duplexes is equipped with among other facilities, a massive standby power generating set. Mrs. Alison-Madueke did not blink as she shelled out N900 Million (Nine Hundred Million Naira) for it on May 30, 2012. In neighbouring Bayelsa State, an apartment with two blocks of flats, all en-suite, and with a Maid’s Quarters were also traced to her. The house located on Goodluck Jonathan Road, Yenagoa, is sitting on a large expanse of land. Realtors spoken to by EFCC investigators have placed estimated values running into hundreds of millions of Naira on the property. The apartments have four living rooms, eight bedrooms and gold-plated furniture. Aside from jewelry and property, Mrs. Alison-Madueke, EFCC operatives charge, has N23,446,300,000 and $5milion (about N1.5billion) in various Nigerian banks. Based on evidence presented by the Commission before the court, Justice Muslim Suleiman Hassan on January 6 2017, ordered the funds’ temporary forfeiture to the federal government. 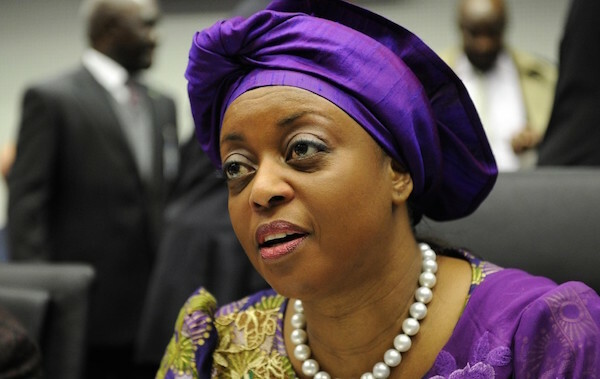 The EFCC again, on January 24, 2017, urged the Federal High Court in Lagos to order the forfeiture of yet another N9 billion allegedly laundered by some bank officials for Alison-Madueke. A month later, on February 16, 2017, Justice Hassan ordered the final forfeiture to the federal government, of N34 Billion naira which has been traced to the former minister. Earlier in May 2016, the sum of over $100 Million (One Hundred Million US dollars) were traced to the accounts of several Independent National Electoral Commission (INEC) staffers, who were allegedly bribed by Alison-Madueke to compromise Nigeria’s 2015 general elections. Justice Mohammed B. Idris of the Federal High Court, sitting in Ikoyi, Lagos, on April 27, 2017, ordered the final forfeiture of the bribe money traced to one staff of INEC, Christian Nwosu, who was arraigned on April 5, 2017. In the course of the trial, Mr. Nwosu pleaded guilty to receiving the sum of N30 Million (Thirty Million Naira) from Mrs. Alison-Madueke. Upon his confession, the court ordered the final forfeiture of his landed property situated at Okpanam, Oshimili North Local Government Area of Delta State. Also forfeited by Mr. Nwosu to the federal government was the cash sum of N5 Million (Five Million Naira). Going by the continued unearthing of hard-to-ignore evidences of unexplained acquisitions, coupled with Justice Chuka Obiozor’s rulling on the final forfeiture of a $37.5m (N11.75bn) (Eleven Billion, Seven Hundred and Fifty Million Naira) to the federal government, ex-minister Alison-Madueke’s evidence-free counter-charge, that she is a victim of EFCC persecution, may be ringing hollower and hollower. Orilade and Gambari are officers of the Public Affairs Directorate of the Economic and Financial Crimes Commission, EFCC. That's obviously only the tip of the iceberg. What about her off shore, foreign holdings in Dubai, the UK, Mauritius etc etc?